When people look in our hire vans they often comment 'Do you only do one layout?'. 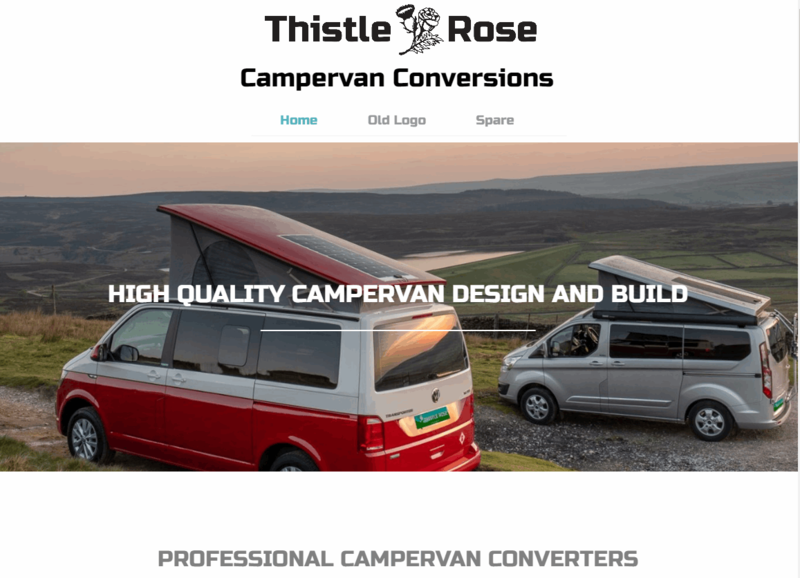 We point out that we build the rental vans to a high generic specification that we think is the most practical balance between transporting 4 people and their holiday 'kit' and comfort when sleeping, dining or playing tiddlywinks. However, for our customer builds we've rarely built two vans to the same furniture combination. We make our furniture in modules, eg. Kitchen module for SWB T6, Wardrobe Module for T6, Low Level module etc so that customers can mix and match the combination of storage solution. Beyond the SWB T6 units for a RIB 112 bed, we've also designed and manufactured units for LWB vans, SWB vans with RIB 130 beds, Ford Transit Customs, Nissan NV200 and L3 and L4 Ducato, Relay and Boxer vans. 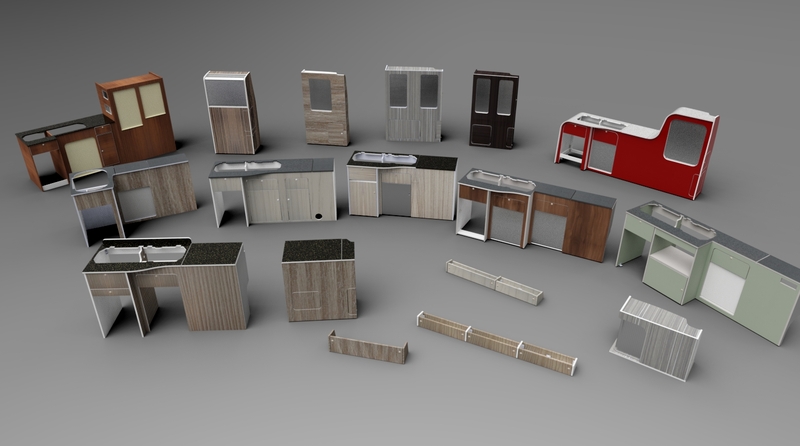 Just have a look at a sample of our furniture modules in the picture below to see the variety of designs and choice available. What's more is we have access to over 2000 'finishes' to the furniture laminate, so you can be sure to buy the furniture you want, in the colour scheme you want from Thistle Rose Leisure. We can offer this range of furniture direct to self build customers too! If you're interested in an optimal furniture solution, 95% Assembled (not flat pack), why not get in touch and we can look at building a custom kitchen to suit your van. Here's some food for though on what furniture you may like. Front kitchen module for RIB 129cm (sometimes called a RIB 130) seat bed.